Treble Definition - What Does Treble Mean? 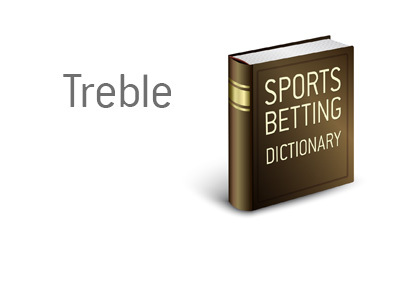 What does the term "treble" mean in the world of sports betting? What is the definition of the term "treble"? 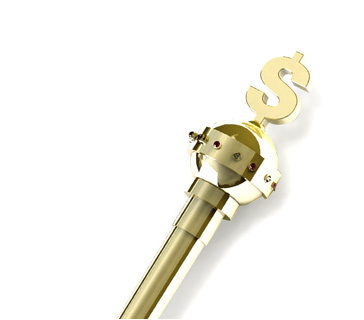 In sports betting, a "treble" is a bet in which all three outcomes must be guessed correctly in order for the bet to win. You think that Man Utd, Liverpool and Chelsea are all going to win. The odds for all three teams winning are 1.70, 2.20 and 2.70, respectively. With a "treble", the potential winnings of the bet are calculated by multiplying the three odds (1.70 x 2.20 x 2.70) by the size of your bet. So, if you decided to bet £10, you could potentially win £100.98. In order to win this bet, Man Utd, Liverpool and Chelsea would all have to win. If Man Utd and Liverpool won while Chelsea played to a draw, you would lose your bet. With treble wagers, you can bank a very nice win if all of the outcomes go according to plan, however, one poor result and your ticket will be garbage.